When we consider the rich history of Australia, the subject remains incomplete without the mention of the gold rushes that took the country by storm in the nineteenth century. The people who worked and lived on the gold fields – commonly known as the “diggers” – hold a special place in the national folklore that we Aussies are immensely proud of. Gold trade has always been popular in the country. However, when people buy or sell gold from and to a Melbourne gold bullion dealer, they don’t really make an effort to find out how the gold got there. From the initial discovery of gold that triggered a gold frenzy across the nation to the availability of gold bullions at dealership stores across the country, there are several facts that should be known by all of us. 1. 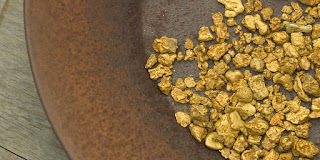 The first official discovery of gold in Australia was made by Edward Hargraves in 1851. There were other discoveries made before that, but none of them won the approval of the Governor of New South Wales. 2. The discovery by Hargraves was made in a waterhole near Bathhurst, which was later named Ophir by Hargraves himself. During the hunt, he was accompanied by three other men – William Tom, James Tom, and John Lister – who decided to surrender the reward for discovery in full to Hargraves. 3. The gold discoveries made before Hargraves were rejected by Governor Gipps owing to the fear of having gold mines dominated by convicts who would rush to them as soon as they heard about it. This could have led to serious chaos in the country. 4. The first ever discovery of gold in Australia was back in 1823. Then again, geologist William Clarke discovered particles of gold in Blue Mountains in 1840. 5. In 1869, diggers Richard Oates and John Deason unearthed the Welcome Stranger – a gold nugget that weighed 2268 ounces – the largest ever found! 6. The Welcome Stranger was extracted from Moliagul. This place is famous for all the large gold nuggets found here. It is located close to Dunolly. 7. Back then, Bendigo and Ballarat were the most productive gold fields, attracting most of the crowd. Even today, they are renowned worldwide for the gold they produce. These fields were rich, but never produced nuggets as big as those found in Moliagul. People still try their luck at digging there in an attempt to make a fortune. 8. William Campbell was the first person to find gold in Clunes, Victoria. However, he waited to claim his findings till a reward was set for it. Campbell was awarded 200 pounds in 1851 once his discovery was confirmed. 9. Kalgoorlie and Coolgardie qualify as the two largest goldmines of Australia. Located closed to each other, these sites produced more gold than any other site in the country. 10. Most of Australia’s gold yield is concentrated in Western Australia, with the region contributing almost 70% of the total gold yield of the country. Have more interesting facts about the Australian gold rush to share? Let us know about them!